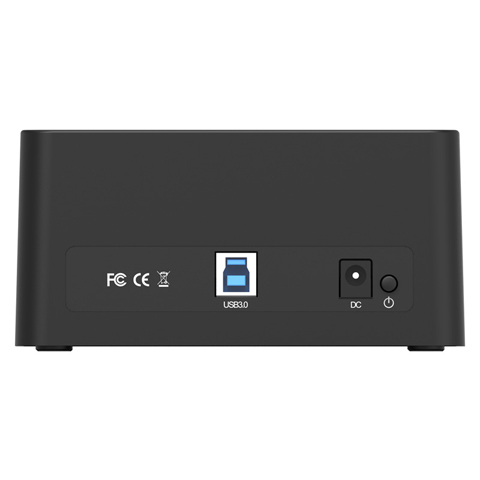 Compatible with any 2.5 / 3.5 inch hard disk drives (HDD) or solid state drives (SSD) 12V2.5A power adapter provides stable power supply which ensures nice performance available with connectivity via SATAI, II interface the ORICO enclosure makes it much easier to sync data between computer and hard drive disks. 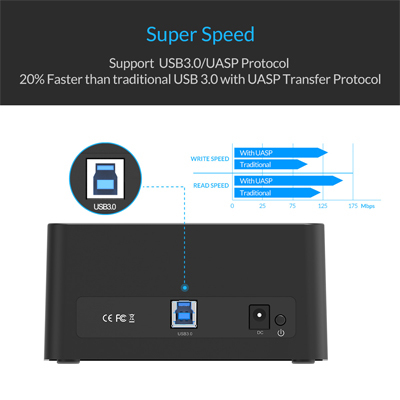 Take advantage of the lightening speed of USB3.0 to quickly transfer files up to 5 Gbps, access 2.5 / 3.5 inch HDD or SSD in a quick and easy way Also is backward compatible with USB2.0 and 1.1 connectivity. 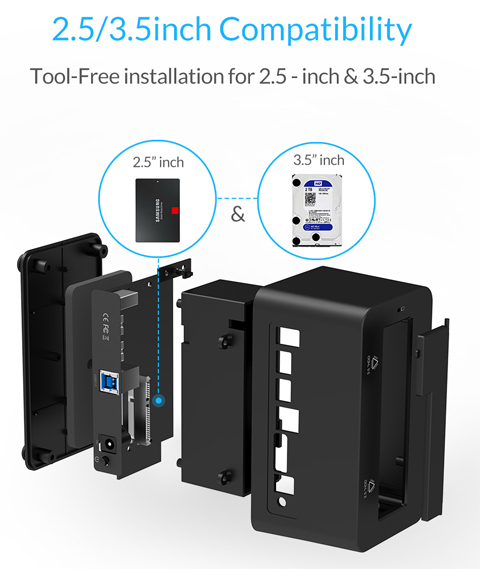 Tool free installation, no need any tool or screws to install no installation of drivers required, plug and play supported Compatible with Windows, Linux and Mac, Desktop & Laptop with available USB host. 2.83" x 5.39" x 2.56"
Pros: Looks great, feels solid, inexpensive. Cons: Stops working after you've used it a few times; no longer recognized when USB cable connected. Waste of money. What do you mean that the USB cable unwork? For the product within warranty, we can send you a new cable for free..
My email address is newegg@orico.com.cn,we will try our best to help you. Pros: Hard drives plug in nicely, not loose or wobbly. Cons: USB cable attachment very, very loose, falls off with the slightest excuse. Door has a large gap, which is fine if you're keeping a 2.5" drive in it, but if no drive is in, allows too much dust to settle on the contacts. Other Thoughts: It weighs very little, which means it can shift too easily for my comfort...if it had a bit of weight, I'd be a bit happier. If I had known about the USB cable being loose, I'd have bought something else. Other Thoughts: Orico has gone on my "Never buy again from this maker of JUNK"
I bought this thing as a spare and it sat on my desk unopened for almost 2 months. When I do open it and try to use it, it does not recognize any drive HD or SSD placed in the DOCK. It's not the cable or the power supply. 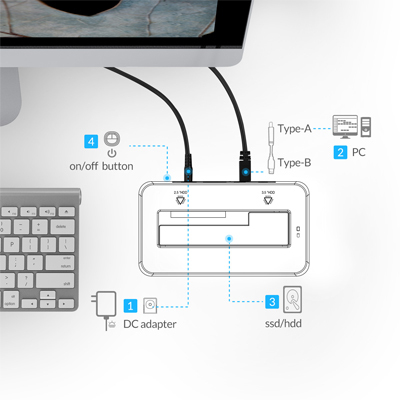 The dock itself is bad. Orico support is THE WORST. Couple this with NO understanding of English and cookie cutter responses makes for one angry customer (ME). Pros: Allows me to clone a drive easily without having to install it into another enclosure. Cons: No so far in almost 3 years of use. 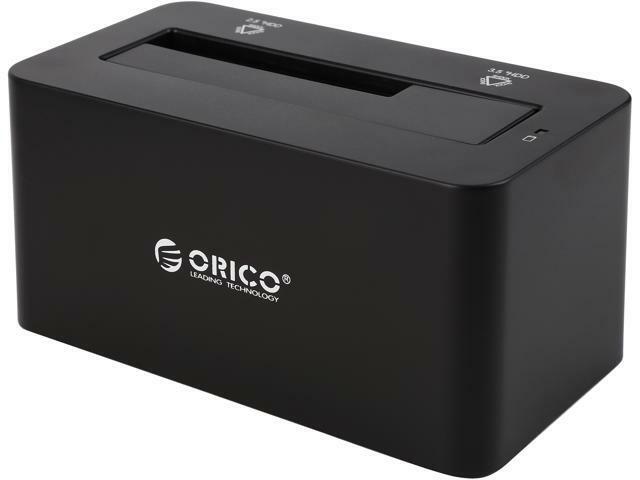 newegg@orico.com.cn ,we will try our best to help you. Other Thoughts: I use this for back up with a Seagate 2 TB SATA 6 GP/s and 2 different SATA SSD's. I leave the Seagate in the dock and turn it on/off when needed. 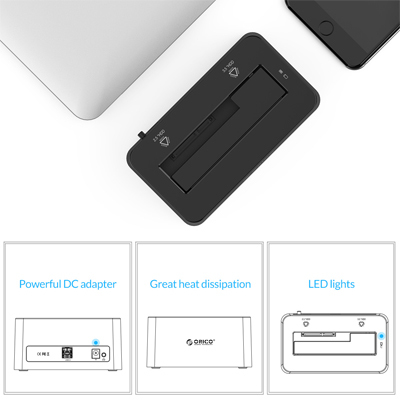 Easy way to back up your computer without having to worry about a crash. Pros: It did work fine for about two years. 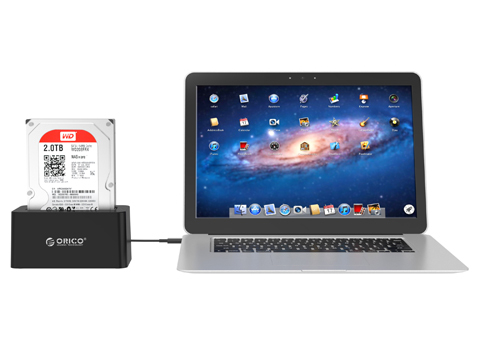 So easy to switch hard drives. Relatively fast. Other Thoughts: I would still suggest this unit to the other units out there. When it comes to enclosures, there does not seem to be a clear winner! I also do not rule out some sort of malware for the malfunctioning because I bought a Vantec to replace the Orico and it too died. I'm currently using an older USB 2 enclosure that has been very stable but a bit slow. Thanks for choosing ORICO as your preferred choice, this is Maite from ORICO customer care team.